EACH Socceroo must seize the World Cup moment if they are to reach Russia's knockout stage. In every match there is an opportunity to alter the flow of a game, no matter the opponent, and the pressure is on this Australian team to take it. I always believed I could influence a game and that's the mindset the boys need in Russia, regardless of their role. 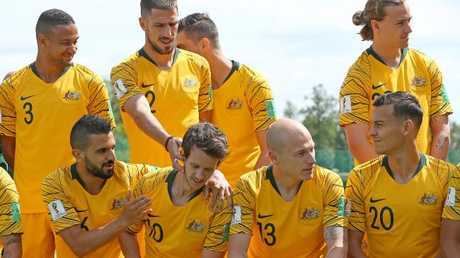 For some players, the moment will come that will provide the highlight of their Socceroos careers - it is just a matter of who that is going to be? Players have come into camp fully fit, some are battling injuries, but they need to remain focused and it is up to Bert van Marwijk to ensure he gets the most out of his players. Unlike Guus Hiddink back in 2006 with the Socceroos, van Marwijk doesn't have the intimate knowledge of the team, as he did of the Saudi Arabian team he used to coach. The challenge is whether he can get his style across in the brief time available to him. But if he was like Hiddink, who was straight to the point and knew how to get the best out of people, then that's a great start. With Hiddink, it was either his way or the highway, and I've always appreciated a strong leader like that. No matter what condition you are in as a player, you cannot take a spot in the finals for granted. 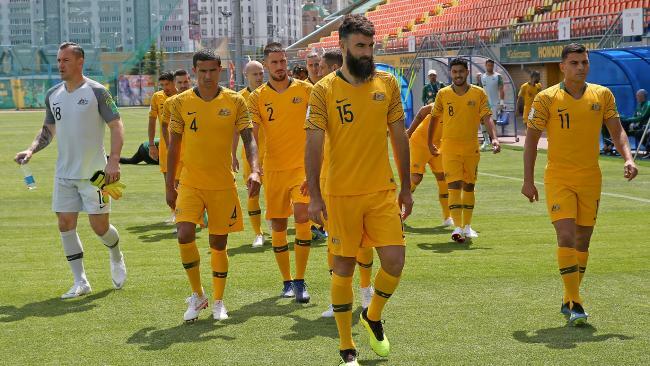 Among those with compromised lead-ins are Tomi Juric, who trained solo with physio Les Gelis for the first fortnight of the campaign, and captain Mile Jedinak, who missed the start of this season after groin surgery. Playing through the pain is worth it because aches come and go but World Cup memories last forever. I would've loved to have entered a World Cup fully fit, but I never got the chance, unfortunately. Personally, 1998 and 2002 would've been fantastic as I was primed, but they ended in qualifying heartbreak. I was at Liverpool in 2006 and faced a race against the clock. The same in 2010, after a late injury with Galatasaray. When my teammates were completing tactical sessions, I'd usually be on the sidelines with physio Gelis battling to get fit or stay healthy. Everyone travels a different path and the key is to be ready once that whistle blows, whether you're a starter or one of 12 substitutes. Kewell scores that goal against Croatia. My preparations could've compromised my World Cups but I remained focused, enabling me to contribute and make lifelong memories. In 2006, I played 90 minutes against Japan, came on against Brazil, where I should have scored before it literally ended - for me anyway - with Croatia. Playing in a World Cup is unreal, but to score the goal - Australia's second in the 2-2 draw with Croatia - that sends your team into the last 16 is special. It was also a relief to score because of what I went through to get there. That was my reward for the hard work. It wasn't about me, and I would've been as happy if anyone else scored it. 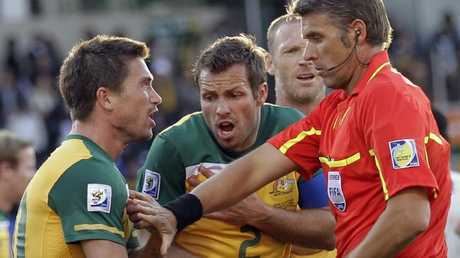 But it was the highlight of my Socceroos career. Not in my wildest dreams did I envisage that goal virtually being my last kick of Germany 2006, which proves why no moment or game should be taken for granted. Watching the second-round game on crutches was one of the toughest things I've endured. We had them on the ropes and I felt if I could have got 20-25 minutes against an Italy team just hanging on with a man down, we could've got them. Honestly, I wasn't even close. Challenges will pop up throughout and I recall defending myself in a FIFA hearing after my referee rant at the final whistle against Brazil in the 2-0 defeat in Munich. A suspension may have been hanging over my head, but I didn't let it distract me. Sometimes you just need that spark and in the 2006 opener it came from Timmy Cahill. We've always had great keepers and I predict a big World Cup for Maty Ryan after an excellent season with Brighton. Jedinak's experience is vital. He must control things and get the boys up or settle them down if there are nerves. A World Cup is short. You've only got three games to get it right and two games to correct it if it doesn't go right in game one. The team's got to play together, first and foremost. 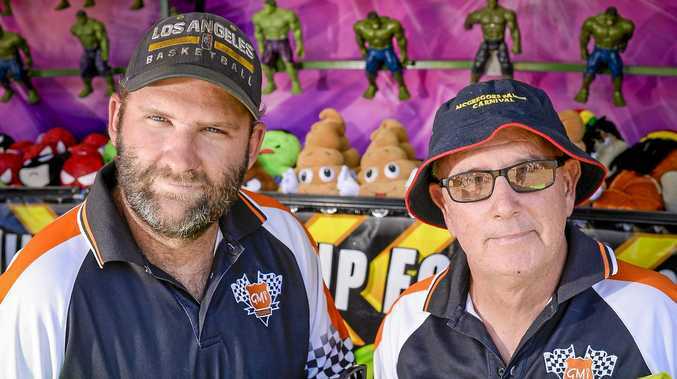 There's always a surprise package in the World Cup - hopefully it can be Australia.